Maximize participation by engaging your classes with physical activities for students that increases kinesthetic learning by combining physical activity and nutrition. Student learn best when they combine mind and body. 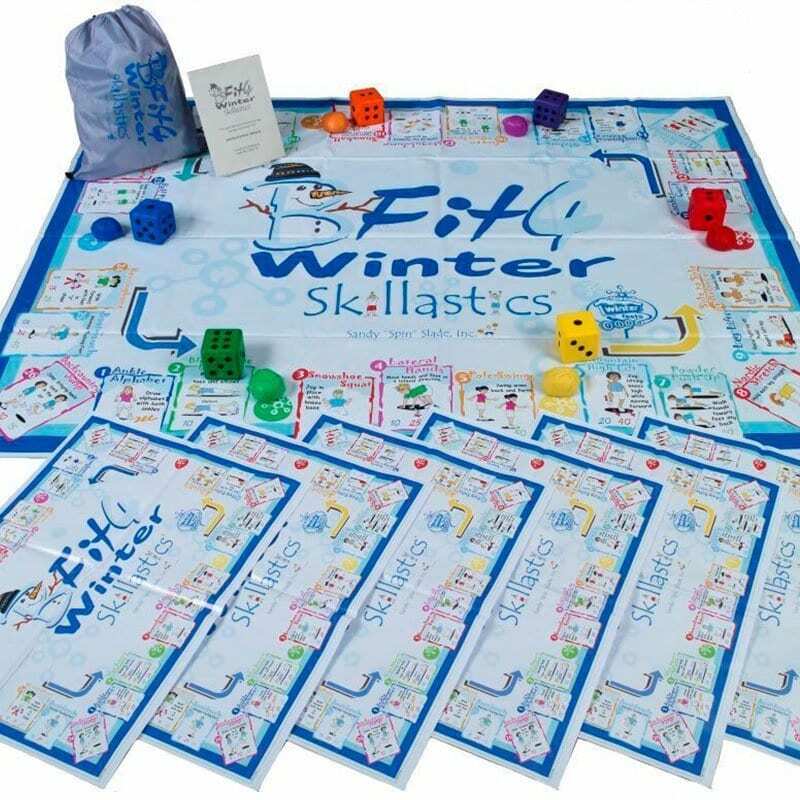 The Skillastics® method fully engages students in a unique and innovative way, helping break down mental barriers that limit learning. 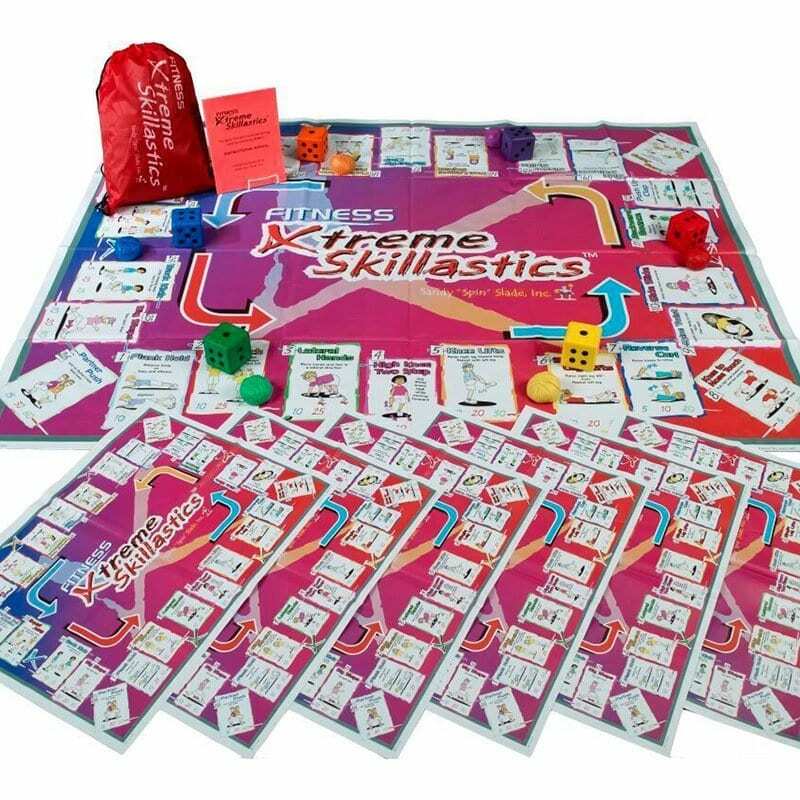 Skillastics® increases kinesthetic learning through positive social interaction, self-direction, and helps develop problem solving skills. The large colorful mat design and oversize die naturally evoke student curiosity. With this heightened interest, students are more open to learning while participating in an activity that is non-threatening and FUN! 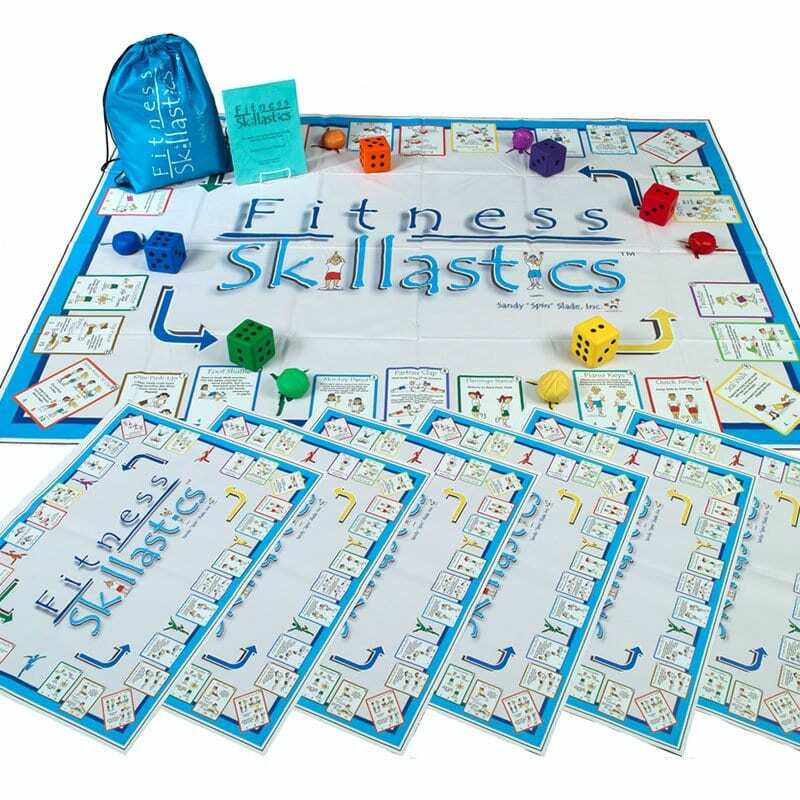 The fitness-based themed Skillastics® activity kits integrated with the Skillastics® Nutrition Cards are the perfect combination of innovative physical activities for students while increasing nutritional knowledge. 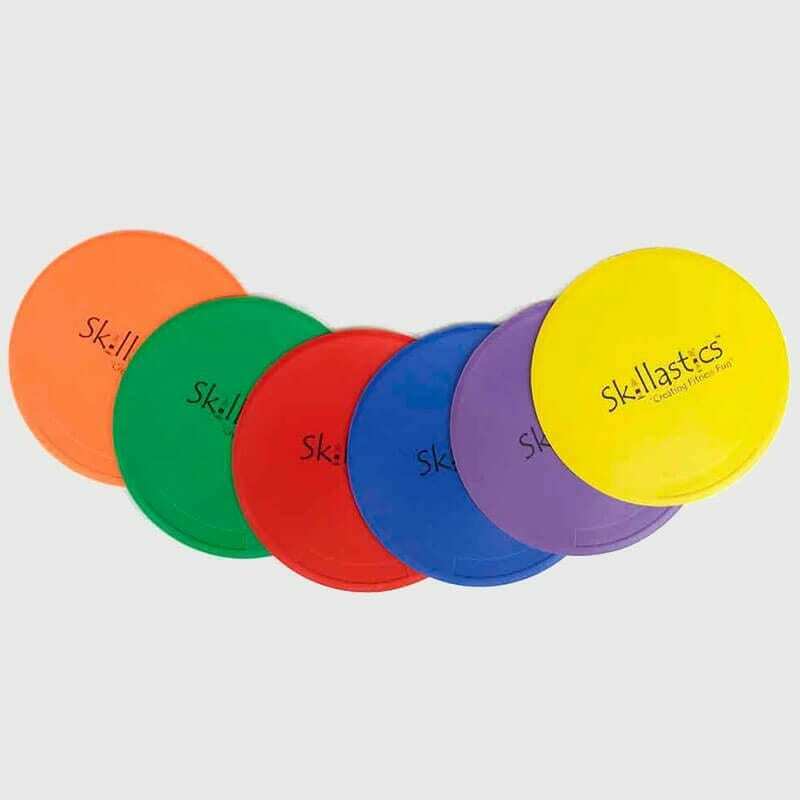 How Do You Integrate Skillastics® Physical Activities for Students and Nutrition? • Lay the oversize mat in the middle of a playing area. 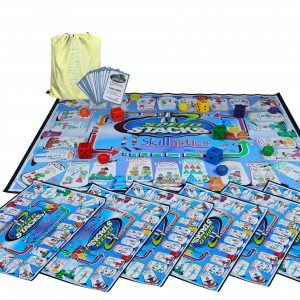 • Place the same colored die and beanbag marker on the “start spots” for each team. • Divide a group of students into 6 teams, assigning each team a color. • Distribute to each team a miniature mat that is identical to the oversize mat and a box of nutritional cards. • The teams move to their team areas, surrounding the oversize mat, but as far away from the oversized mat as the playing area space allows. 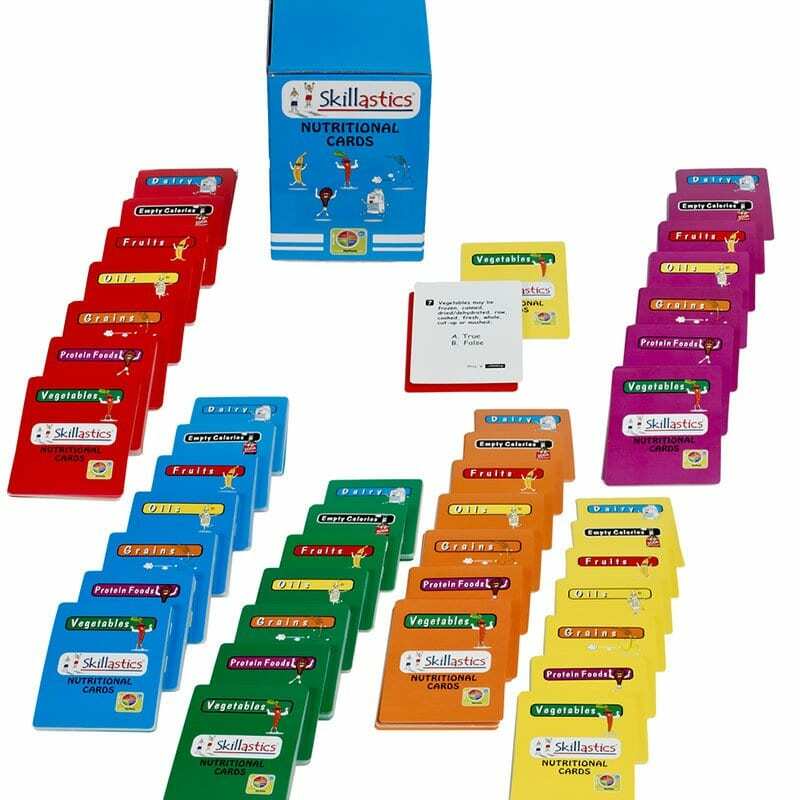 • The teams lay their miniature mat in their team area and place the nutritional cards in the 7 MyPlate category piles (i.e. fruits, vegetables, proteins, grains, dairy, oils & empty calories) next to their miniature mat. 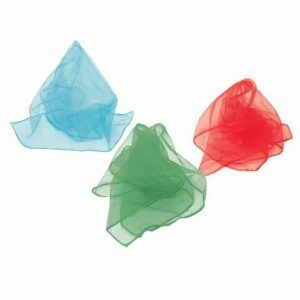 • On the signal, one student from each team jogs to their assigned color die on the oversize mat, rolling their die and moving their beanbag marker the amount rolled. 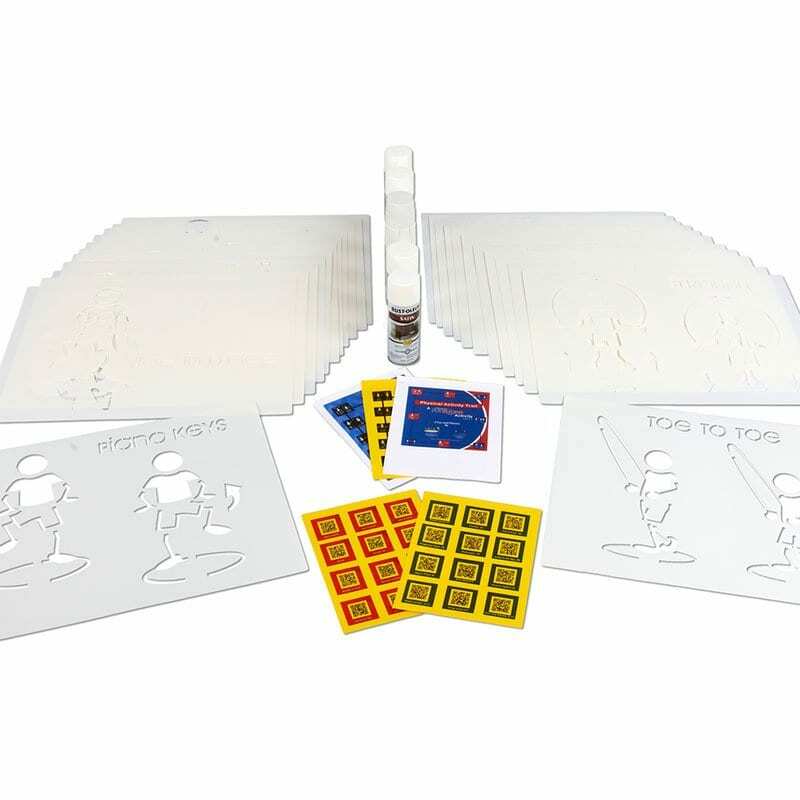 • The student jogs back to his/her team and points out the activity on the miniature mat. • The students do the activity TOGETHER one of three levels of repetitions included at the bottom of each activity, which is assigned by the instructor prior to play. • When repetitions are completed, the student that rolled the die, looks at the color BORDER around the activity they just completed. 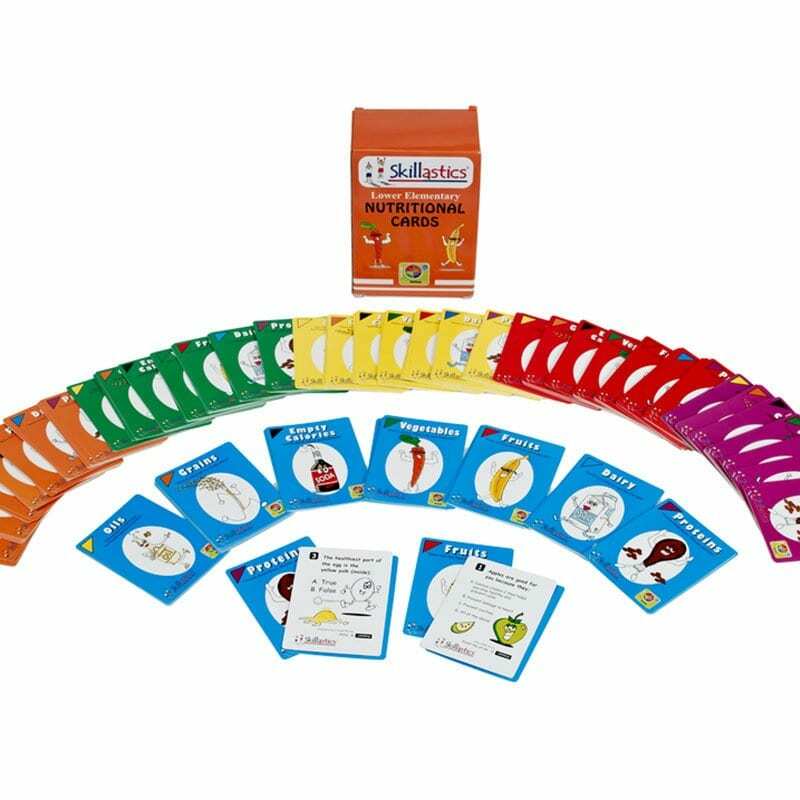 • The student chooses the Skillastics Nutritional card color that matches the color border around the activity and reads it to his/her team. • After the team answers the questions, another student from the team repeats the process. 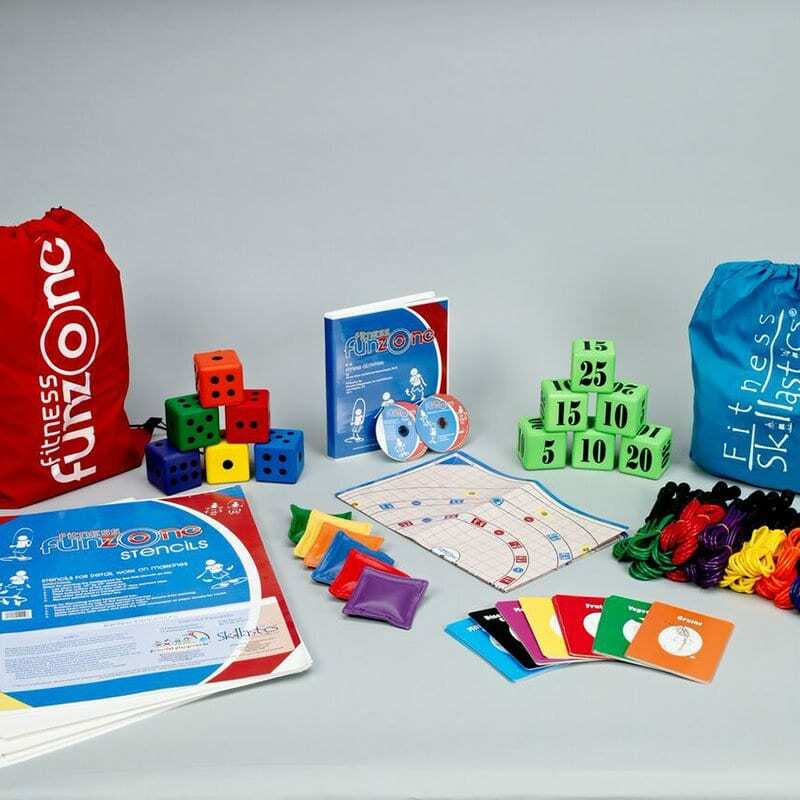 What your students will be experiencing is pure fun. What you will be experiencing is the important underlining components that is the magic of the Skillastics® method. It’s ability to empower students with the knowledge, habits, skills and desires needed to live a lifelong healthy and active lifestyle. 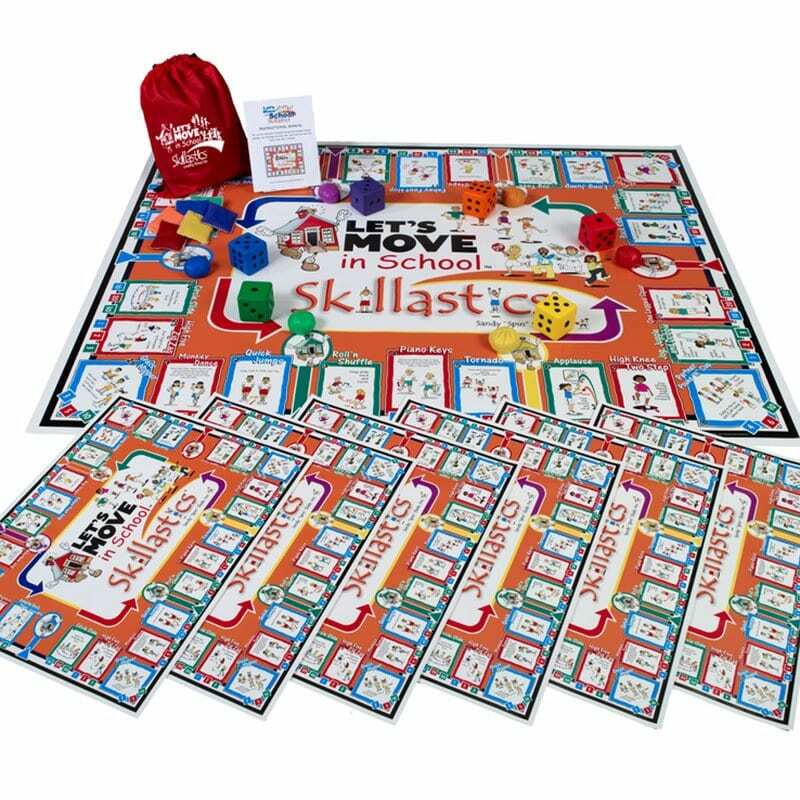 Whether you choose to use a fitness-based Skillastics® Activity Kits System alone or integrated with the Skillastics® nutritional cards, you will quickly appreciate how Skillastics® physical activities for students takes kinesthetic learning to a whole different level!